Russell Bass is a professional potter in his seventies, leading a quiet and solitary life in the Blue Mountains following the death of his wife. 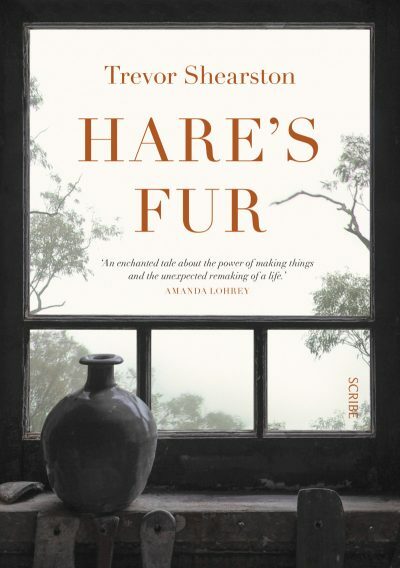 While gathering basalt for his pottery glaze in remote bushland outside Katoomba, he stumbles across a determined teenager and her two young siblings hiding out in a cave, terrified of being separated and leading a feral-like existence to avoid authorities who wish to put them into care. The term ‘hare’s fur’ refers to unique striated glazed pottery patterns that resemble the fur of a rabbit. Just as potters create it with skill and meticulous attention to detail, so Russell—determined to help—slowly earns the waifs’ trust. His life changes drastically as he forms an unlikely and unique connection with the trio. At once touching and exuding charm, this 140-page novella still manages to pack a punch. It’s a study of what can grow from trust and caring despite grief and misfortune, that no matter what stage of life a person is at, rebirth can be unexpected and come in many forms. Readers who enjoyed the unexpected human connection of Kent Haruf’s Our Souls at Night will also find this pithy tale both uplifting and satisfying.